DAVID LE/Staff photo. 4/1/15. 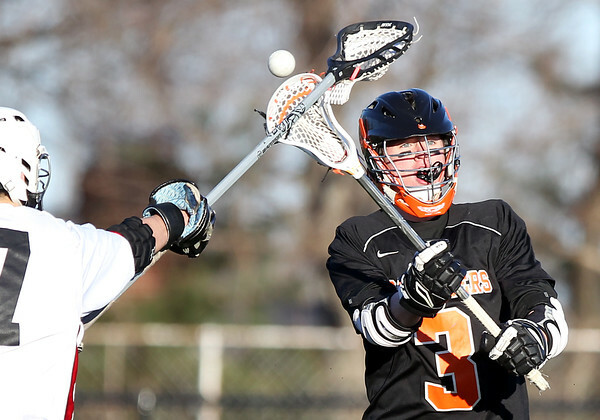 Beverly sophomore midfielder Kevin Flaherty (3) makes a pass while being defended by a Salem player.